The Flicks Theater has been a beloved Treasure Valley mainstay since 1984. Located in downtown Boise, The Flicks offers a gourmet menu, complete with a choice selection of microbrews and wine, as well as a screenings of independent films to please both the gourmand and discerning movie buff in all of us. In addition to all that, The Flicks Theater also owns a part of local history—they were one of the first business to utilize an espresso machine. Can you imagine life without an espresso machine? For those who might be a little unfamiliar with The Flicks, they are far more than just your run-of-the-mill movie theater. Owners Carole and Rick Skinner wanted to open a place that would offer the indie-type films and not just the mainstream blockbusters we’ve become accustomed to. They show movies that have earned notoriety in a way not measured in ticket sales, instead showing movies that have garnered acclaim from world-renown festivals like the “Cannes Film Festival” or the “Telluride Film Festival”. This business model allows Boiseans to view films that, due to their sensitive themes or independent labels, often don’t make it to the box office. Despite this, survival for The Flicks has not been easy, especially in a town full of big box cinemas. Since its inception in 1984, The Flicks has created a warm and inviting venue. 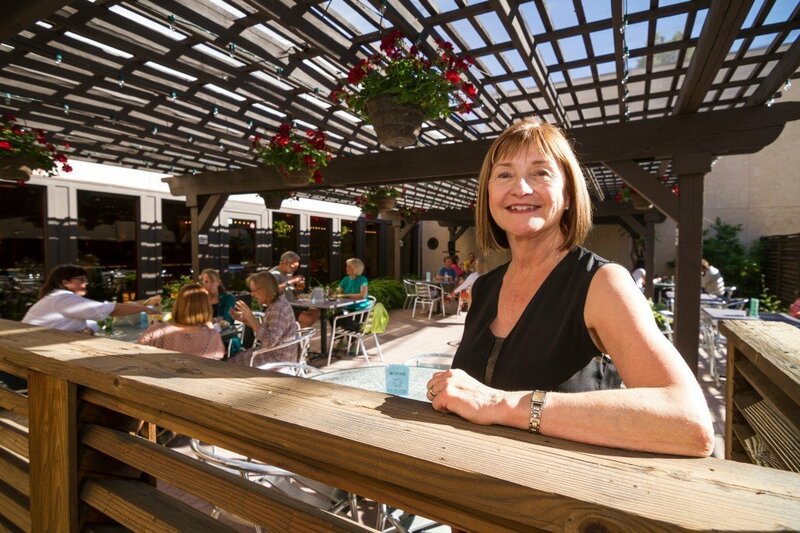 Inside sits a cozy fireplace where one can enjoy a glass of wine and light conversation before a movie starts, or, during the summer months, the outdoor patio offers an enclave of comfortable seating and a relaxed atmosphere. Now that this local film venue has reached its thirty-year mark, The Flicks have shown that Boise is very capable of cultivating a devoted film audience, and one who is capable of seeing the value the sensitivity, craftsmanship and artistry generally found in the more lower-budget, independent films. Not only has The Flicks made a comfortable and desirable niche here in the Treasure Valley, but they are also deeply entrenched in our local community. 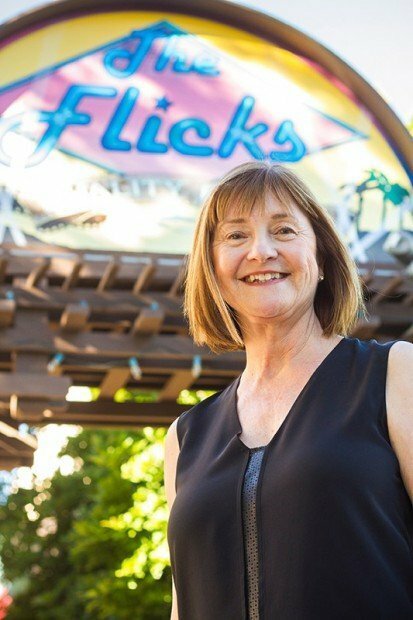 The Flicks often participates in local fundraising efforts and often screen films and documentaries that create awareness and a call to action for worthy causes. But above all, The Flicks is a treasured and unique landmark that has strong roots in the local Boise community and continues to grow and thrive despite the appearance of larger movie theaters. Perhaps those massive venues are lacking something that cannot be duplicated from a more intimate and homegrown venue with the soul that The Flicks has. For more information and movie schedules search online at www.theflicksboise.com or call (208) 342-4222.